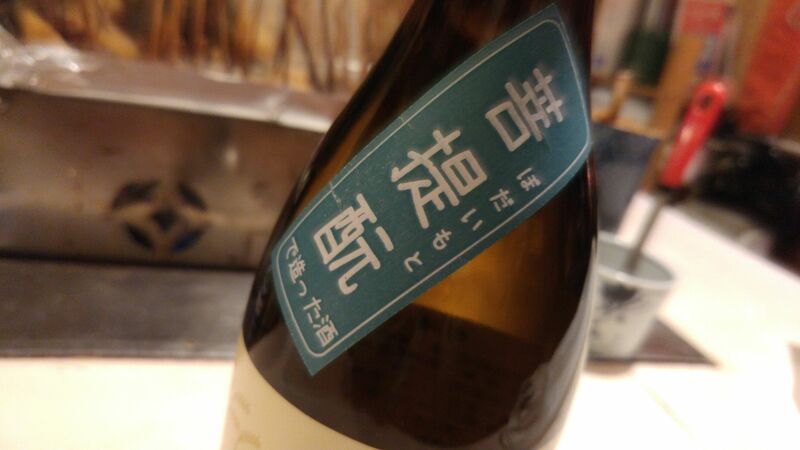 Sugii Brewery in Fujieda City has made itself a name all over the country when it comes to experimentation in the brewing of sake and their latest nectar is another illustration! 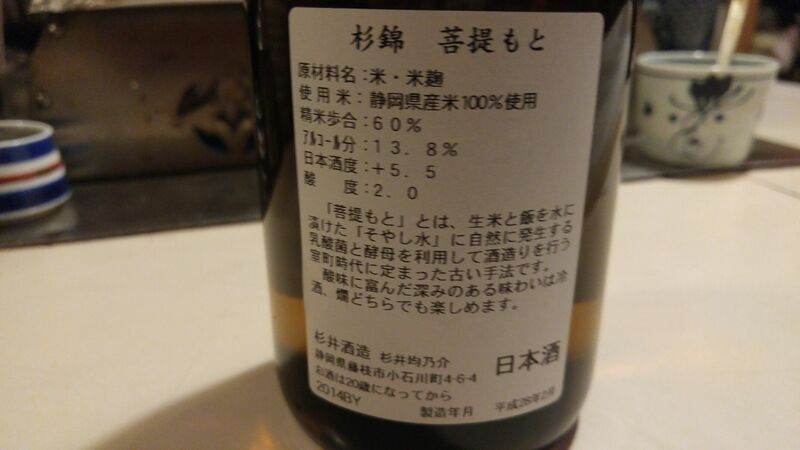 Bodaimoto/菩提酛 is an old way of making the moto/酛/sake starter dating back to the Muromachi Era (14th~16th Century) with a mixture of steamed and non steamed (raw) rice, natural lactic acid and yeast. Taste: Very dry and fruity attack. Little junmai petillant. Lingers only for a little while before departing on a drier note withdry apricots and persimmon. Turns drier, more discreet and acidic with food. Alcohol will surge forth in spite of its low contents. Overall: A discovery from another era when taste buds were definitely different! I personally loved its down to earth approach and fully appreciated with food although it might shock people used to milder sake. 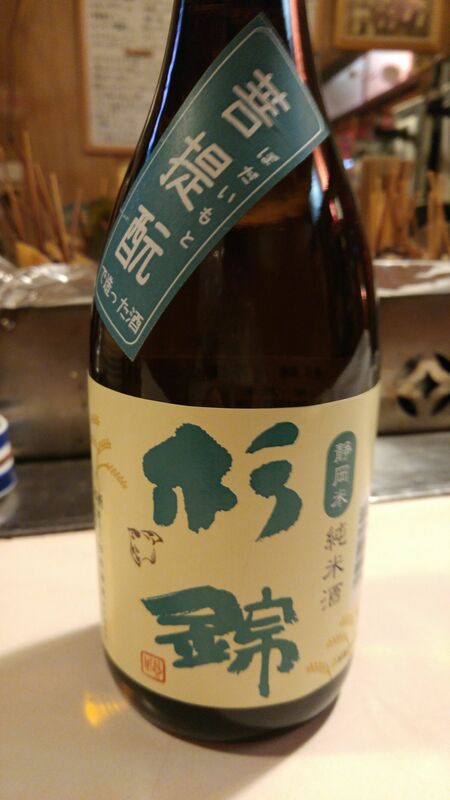 A sake to enjoy informally! Suggested pairings: izakaya heavy food, stews, pickles. Previous PostOsaka-Style Okonomiyaki: Tonbo in Shimada City!Next PostOsaka-Style Yakisoba: “Soba Modan” at Tonbo in Shimada City!